Our OPC A&E Resources page contains an OPC A&E Overview video as well as downloadable material. You can also learn how to use our free OPC A&E test tool. TopView Events is just one of our TopView Products. 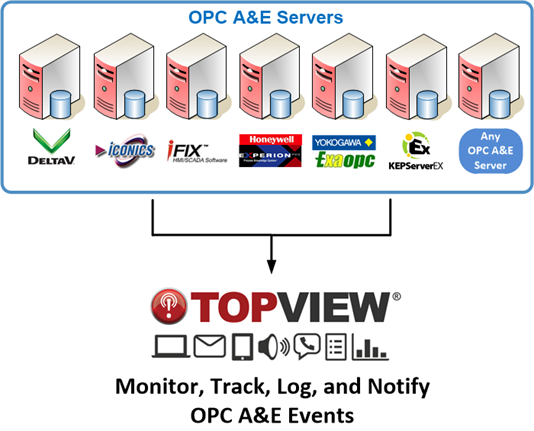 We also have TopView for OPC (DA/HDA), OSIsoft PI, SQL, Canary Labs, and others. Visit our TopView page for more information.